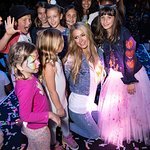 In support of Child Abuse Prevention Month this April, Jana Kramer, country music singer and actor, has partnered with Committee For Children (CFC), the global leader in research-based social-emotional learning (SEL) programs, to educate parents about their role in child sexual abuse prevention. The Hot Chocolate Talk campaign is designed to get families talking about child sexual abuse, which research shows can protect children against future harm. “We are thrilled Jana is joining us for our annual Hot Chocolate Talk campaign. Jana is an accomplished woman but maybe most importantly, a mother and great role model for this campaign,” said Committee for Children’s executive director, Joan Cole Duffel. "Jana will help us reach a wide audience of parents and normalize this extremely important safety conversation that will help keep kids safe. The explosive documentaries “Leaving Neverland” and “Surviving R.Kelly” have reignited a national conversation about child sexual abuse, and many parents are wondering how — and even if — they can keep their children safe."